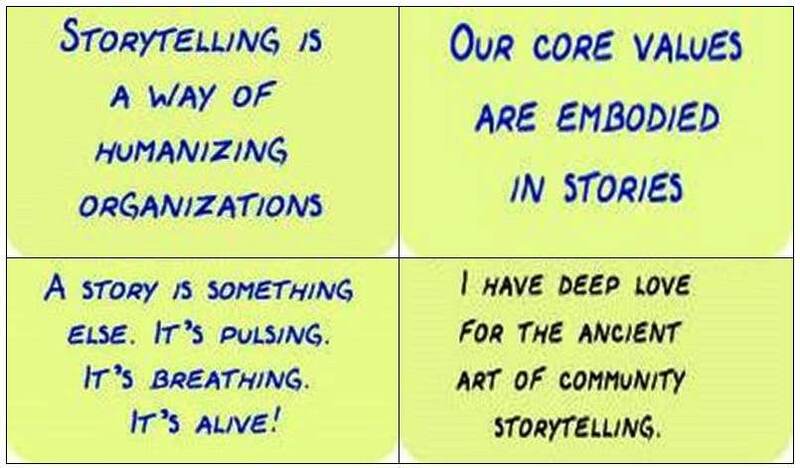 “Organizational Storytelling is an emerging discipline in the study of management, strategy and organization studies”. 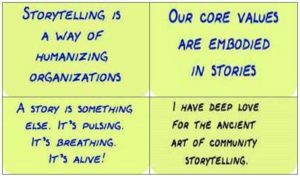 As an emerging discipline Organizational Storytelling is contested ground, with some academics describing it is a purposeful tool to be used by business people, and others describing Organizational Storytelling is a way of understanding and interpreting organizational life. Mitchell’s is the oldest Pakistan food company. It was established by Francis J. Mitchell. Before independence the company was running under the Indian name Mildura Fruit Farms Ltd. But after independence the name changed to Mitchell’s fruit farms Ltd.
Mitchell’s has its own farms processing facilities in one location. It has a trained workforce and a high volume industrial technology and is an innovator. It sets the market tends in food industry. Regional sales offices are interlinked to report country wide sales. Mitchell’s has been serving not only end consumer but also institutional clients including Pakistan International Airline, five star hotels like Pearl continental and Avari, utility stores, clubs, restaurants in major cities of Pakistan and canteen stores departments. To be a company that continuously enhances its superior technological skills to remain internationally competitive in this day and age of increasing challenges. To be a company that attracts and retains competent people by creating a culture that fosters innovation, promotes individual growth and rewards initiative and performance. To be a leader in the markets we serve by providing quality products to our consumers while learning from their feedback to set even higher standards. To be a company which optimally combines its people, technology, management systems, and market opportunities to achieve profitable growth while providing fair returns to its shareholders. To be a company that endeavors to set the highest standards in corporate ethics and fulfills its social responsibility. Organizational Storytelling is an emerging discipline in the study of management, strategy and organization studies. As an emerging discipline it is contested ground, with some academics describing it is a purposeful tool to be used by business people, and others describing it is a way of understanding and interpreting organizational life. Mitchell’s is the oldest Pakistan food company. It was established by Francis J. Mitchell. Before independence the company was running under the Indian name Mildura Fruit Farms Ltd. But after independence the name changed to Mitchell’s fruit farms Ltd.
Mitchells. Has been serving not only end consumer but also institutional clients including Pakistan International Airline, five star hotels like Pearl continental and Avari, utility stores, clubs, restaurants in major cities of Pakistan and canteen stores departments. Is the first food company to win ISO 9001 accreditation in 1998. According to them they are far better than others. They are the oldest brand in this industry. They have been the trend setter. Mitchell’s has a cost advantage over other competitors as it has its own farms but at the same time its quality competitive advantage makes it the best brand. It never compromises on quality even if maintain quality causes higher costs. Like in ketchup they continue to use Gunther glue even though it is expensive than starch which is one of its alternatives. Jams also contain real fruits and not artificial flavors. People trust their brand. Their sale is very high from their competitor. And in jams they are always been leaders since a long time. One reason can be that they have their own farms. There workforce better than others because they are providing them good salary packages. And provide them the best training in town. Core competencies are the combination of pooled knowledge and technical capacities that allow a business to be competitive in the marketplace. A core competency should allow a company to expand into new end markets as well as provide a significant benefit to customers. As the Mitchell’s is doing form last many years. 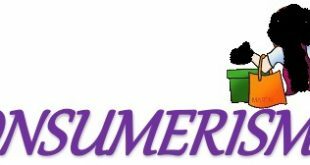 They have started with just producing jams jellies and marmalades and now they have and extensive product line and had also targeting international markets like Canada because of their public image and as they are the leading brand and the oldest one. And they are using natural ingredients in their products and having their own farms this is the reason of continuous increase in their sales then there competitors. The response is double digit sales in this export region for Mitchell’s products. Mitchell’s have been given the proprietary rights due to its expertise in technology by L. Rose and Company Ltd. of England in 1946. It is now the sole distributor and manufacturer of this company’s lime marmalades and lime juice cordial in Pakistan. Mitchell’s has its own farms thus it does not need to import any raw material form any country outside Pakistan. But still Mitchell’s is importing machinery from Germany, china and France. Cocoa powder is the main raw material that Mitchell’s is importing from Thailand due to its superior quality. They have 287 distributors all around the country who manage to ship the consignment within the allocated time. The company has sub distributors and direct distributors. direct distributors take the shipment right from the factory and take it to the main cites while the sub distributors take items from direct distributors to further take items to the suburbs of country. In every region there is also a soul distributor who actually controls the distribution of the products in the areas of his districts. For e.g. the distributor of sheikhupara controls 90 towns including Quetta and Sukhar. Mitchell’s Fruit Farms is one of the expanding businesses which are very much decentralized from the other companies. This is how employees are much happy and loyal towards the company. Over all employees are well listened. Employees are motivated by this strategy implement on them. For example while having the interview of the regional sales manager he was telling us about the visibility on shelf of the product which can be seen in Jalal Sons front line this was due to the surveys done the marketing sales man and then the report goes to the upper management. The upper management gives him the authority to make agreements with well-known stores to gain product shelf visibility. The company is told about the progress if good decision is taken it is appreciated by company while on bad decisions even motivation is essential. The company give full opportunity to tell their ideas about the product and where to place them and what to be priced. This is the main reason the company is growing day by day by listening every one view is the best way to motivated employees. In this company decentralization is the best way to implement to the combine decisions. Mitchell’s gives great values to employees. Mitchell’s care of each other with respect and dignity and supposes everyone to promote a sense of personal responsibility. Mitchell’s believe that it is the employees that who form the strength of the Company and that nothing could be achieved without their commitment and their energy which makes the people most important asset of the company. The participation of the people at all levels starts with appropriate information on the Company activities and on the specific aspects of their work. .Through open communication and co-operation everyone is invited to contribute in enhancing company result and individual personal development. And also ensure that robust safety and health management systems are in place, covering all employees so there is the same level of safety and protection across all businesses. With the right training and support, Mitchell’s believe everyone can play a role in Creating Shared Value. The Members of the Mitchell’s Management at all level are more concerned with the continuously adding value to the Company. This can only materialize with a high involvement of each employee and a common mindset geared to results. Leadership play important role in creating values for employees in Mitchell’s, following are the steps that Mitchell’s leadership take. Mitchell’s encourage Personal commitment and courage this includes the capacity and the willingness to take initiatives and risks as well as to maintain composure under pressure. Mitchell’s motivate and to develop employees and addressing all those issues that allow others to progress their work and to develop their capabilities. Mitchell’s create a climate of innovation and to think outside the box. This implies the right to make a mistake but also the readiness to correct it and to learn from it. Apart from professional skills and insight, the capacity and willingness to apply these principles are the main criteria for progressing in the organization, regardless of origin, nationality, religion, race, gender or age. The HR department ensures workplace safety training and maintains federally mandated logs for workplace injury and fatality reporting. This function is majorly for the manufacturing plants and warehouses of Mitchell’s. Employee Relations and Advocacy: Mitchell’s HR department is also responsible for maintaining the relationship of the employees and labor unions with the upper management. HR acts as a mode of communication between the two. Talking about the factory site, each single factory worker is trained of catering any kind of incident happened during the work hours. They are trained to safe themselves as well as their other counterparts in case of any fire incident or any other accident happen. The company provides them helmets and special customized suits which have insulators within them and is able to resist extreme temperatures. No one in the factory area is allowed to enter the premises without the safety suits. The factory insured. Previously the safety drills occurs once in 6 months but now the company have changed their style and now they conduct quarterly. MDCO, CEO are the top authorities but departments for the good of their department can make decision in their departments. Although discussions and reports are submitted to top authorities but department heads have the empowerment to make decisions and get input from their employees. The heads of the department are always involved in the issue related to department or employees. According to the Regional sales manager looking on the past record no conflict has been occurred in the company. In case the conflict occurs the head politely resolves the conflicts and listen to every single person in the department about what the problem is? So that it could be resolved. The company does not force the teams and demotivate employees at the work. They can also give new ideas and listening to different views. This resolves the conflict by listening to every single person and single aspect. Every team in the market of the company use their own ways. Listening to everyone is important for conflict resolution. Three parties are involved in conflict resolution. The three parties include, person who is involved in the conflict, the department head and a third person from another department to avoid biasness and to resolve issue more efficiently. Mitchell’s is one of the company polishing and nurturing leaders. Moreover the safety of employees and value of employees in very high for Mitchell’s. It understands that motivation is the only way to get positive input from employees. Question: What personal characteristics make you a good HR manager? Answer: Human resource managers deal with personnel and must possess appropriate personal characteristics. You may speak about your interpersonal traits and leadership skills. Written and oral communication and presentation skills are not difficult to demonstrate. Evince initiative and creativity in decision-making by providing relevant examples of your ability to talk and negotiate. Question: What have your hiring strategies been? How do you find talented people for the company? Answer: Many things can be said here. You are expected to simply give a few examples of your strategies and tactics. You can talk about the larger issues of advertising campaigns. If you personally conduct interviews, you can describe how you decide in favor of any particular candidate. For example, how you examine overall competencies beyond impressive education and experience. The employers will assess very carefully the personality of the candidate for traits of openness, honesty, integrity, sociability, initiative, flexibility, determination (as opposed to stubbornness), etc. Say that it’s not about attracting talented individuals, but about creating a talented community of employees with a common vision. What is the orientation process at your organization? The very first day of the new employee is orientation day, at that day he visits all departments of company and sees all the heads of departments. And finally he visits his concern department in details. His manager/senior hand over to him Company’s profile and a handbook which includes all the formal rules, regulations and his joining letter. Question: Why is employee training important to an organization? Answer: Coaching employees is one key function of an HR manager. Different training sessions are possible, all with a different yet common purpose. Training familiarizes employees with company policies, work culture, and management. It strengthens team work and gives a common vision to the organization as a whole. Other sessions are ice-breakers meant to make employees feel comfortable in the new environment. Question: What can you tell me about motivation? Answer: HR managers appraise performance and motivation and introduce necessary changes. It requires analytical thinking, independence and initiative, problem solving ability, and interpersonal sensitivity. Training is one way to improve motivation. Conflict management is another. You can give specific examples of how you’ve resolved a conflict (between employee and company or between several employees) which resulted in better motivation. Question: How do you collaborate with other company departments in your role as HR manager and why? Answer: To receive information, feedback, and coordinate decisions throughout the company for optimal efficiency, HR managers cooperate with other departments within the company. For example, they can cooperate with the accounting division to make salary decisions. This way the employee feels adequately rewarded, while the company remains optimally faithful to its budget policies. Question: How can you compare your organization and benefits to those offered by other companies? Market posture for the company is at average. Company is paying more them govt. sector and less than that of what MNCs are paying. But other than the pay and financial benefits company offers different types of non-monetary benefits. There are paid holidays for the employees; an employee can take up to 20 medical leaves, 20 annual leaves and 7 casual leaves. We offer perks and benefits including paid leaves, annual profit share and foreign trips and tours. We offer our employees medical insurance and life insurance. We offer them interest free loans for their special occasions .we provide our employees with bonuses on special occasion like Eids and other special days. We also give the financial assistance for their children to study. What are performance appraisal methods being used in your organization? 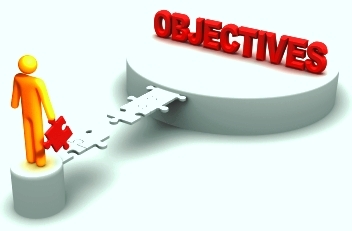 We are using different appraisal methods for different levels at our organization. We use 360degree appraisal method at all levels And on the basis of this appraised increments in pay, bonuses and promotions are decided. Company also uses Hay profiling as job evaluation method. Please circle one choice for each of the following statements.